A Computer is on electronic machine. Which takes and stores the data (unit) from user and process that data to give meaningful result (output). Computer All Shortcut keys, Like word, excel, window etc. 1 DATA :- DATA means all unorganized raw facts and figures which are provided by the user to the computer. It is also known as “INPUT”. Example :- list of Marks, Names, Number etc. 2 PROCESS :- PROCESS means work on data to get some meaningful result or Information. Process include any Work like, addition, subtraction etc. Through Processing Computer Converts or raw data into Information or result. 3 RESULT :- After Processing Computer provide us some meaningful and useful information. Which is known as “RESULT”. It is also known as “OUTPUT”. 1 Speed :- Computer can perform large amount work in a few second that a human being can do in an entire day. It saves the effort and time of human beings. It unit of speed are measured in the terms of milliseconds (103 second), microsecond (10-6 second), nanosecond (10-9 second). 2 Accuracy :- Computer performs its task with great accuracy. Computer never commit mistake in processing the data, computers result is based only on the input data. 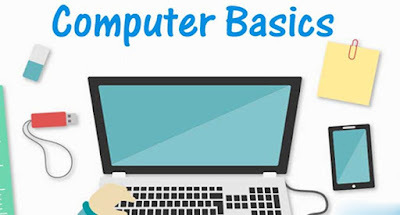 Which is provided by the user if the provided data in correct, computer gives correct answer and functions accurately. 3 Versatility :- Computer can perform various types of job which high accuracy. Which is otherwise difficult for human being to do so. For example :- On a computer system, we can listen songs while typing document in MS Word or while working on any other package, we can play games, do calculation make drawing, surf the net, sent E-mail etc. 4 Reliability :- Computer are more reliable then human being as they never get bored by doing by doing repetiting to never get tired. 5 Storage Capacity :- Computer have large storage capacity. It can store a huge amount of data in its memorise recall or retrieve the stored data whenever you need it. Computer occupies very storing huge data. Every think has Two Aspects. One is good and other is bad. Beside So many characteristics or advantages computer also have limitation or weakness. 1 Dump Machine :- Computer is a Dump machine. It has no Intelligent or not able to make any decision itself. It can work on the instructions which are given by user. It cannot take any decision and cannot make any judgment itself. 2 No Learning Power Or Experiences :- Computer cannot learn from past experience but man learn from past experience so, computer repeats its error again and again. 3 No Emotion and Feeling :- Human being often take decision based on emotions and feelings but computers are for away from emotions and feelings.